A way of life, or to Live Life! At L Hotels & Resorts, the brand resonates personalization, in our service delivery as well as elements. At L Hotel Seminyak, guests can look forward to a host of surprises and delight, get upfront with our personalized touches, such as having your butler with you to assist you daily, a goldfish in a bowl as your companion if you are travelling alone, personalized pillow , sleep pad, L’s signature brew, Man-ly cookies to even animated coasters, and more. 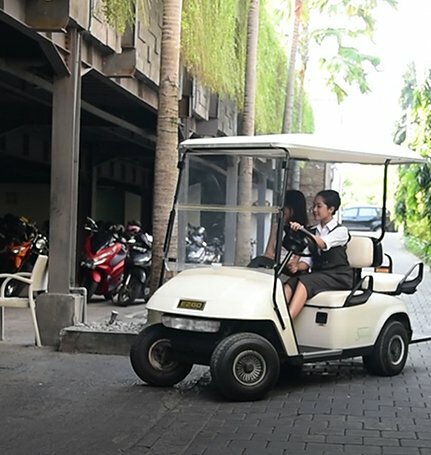 Start collecting your momentos, and be a friend of L.
The only one Hotel in Bali with butler services, At L Hotel you will be assigned a Personal Butler to assist with your sightseeing program or anything nitty gritty. Whether it be planning an itinerary or arranging for a golf session, rest assured that your Personal Butler will take care of it all. 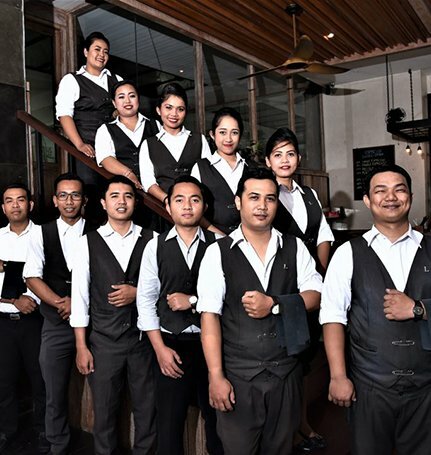 Our Butlers are our hallmark of icon and personalized services, delivering top notch assistance, concern and response to your requests even prior before you arrive in Bali! . Let our Butlers create memorable experiences and memories for you!. We offer high quality laundry services should you require it. Laundry picked up by 9am will be returned the same day, while laundry picked up after 9am will be returned the following day. There will be an extra charge for express service (4-hours return service, from 8am – 5pm). Laundry bags and forms are located inside your wardrobe. Please complete and sign the laundry list, then place it in the laundry bag. Simply let your L Butler take care of it!. Our butler will arrange your Free Shuttle to Seminyak Area (based on availability) and Airport Drop & Pickup (based on Package & Request) with our Luxury Car. It was couple trip in January 2018. It was overall a very comfortable stay. Hotel staff was very courteous. Nothing was too much for this hotel. The butler will drop you and collect you from wherever you would like to stay. This hotel is just perfect if you want to discover Seminyak or Petitenget area. We stayed here on our last night in Bali, right before leaving back to Europe.